Curling Stones for Lego People: Easter Dangles 2012 and wedding bracelets! Easter Dangles 2012 and wedding bracelets! 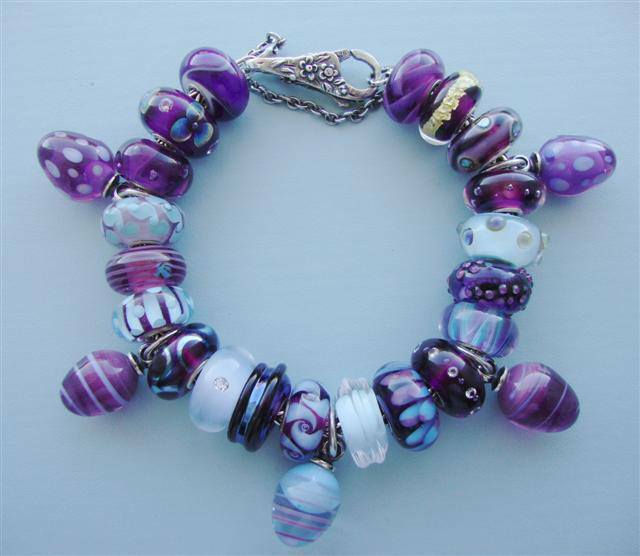 They were released back in 2012 in time for Easter and are Universal so they will fit other bracelets. 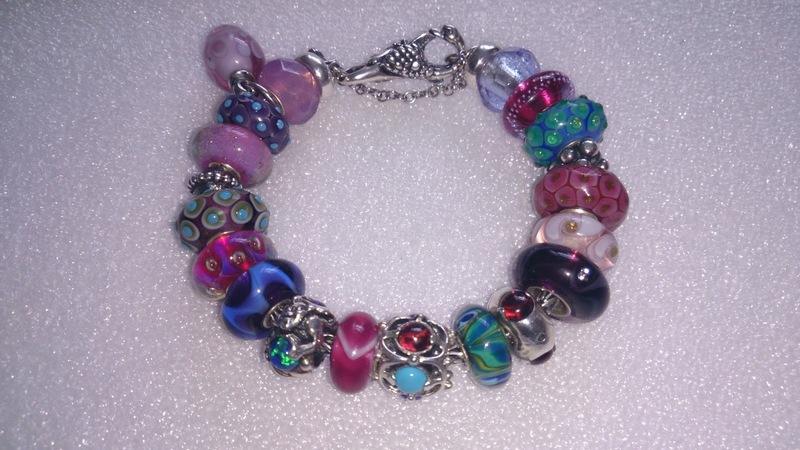 Originally sold in sets of 3, all random colours and as limited edition sets. 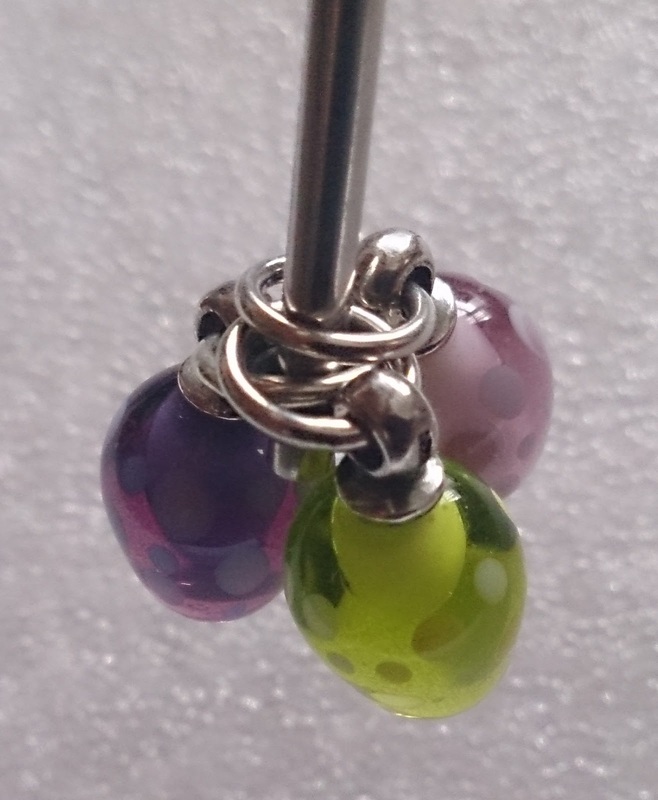 I was lucky to pick up a set of 3 in the colours (purple, pink and green) I would have chosen for myself. 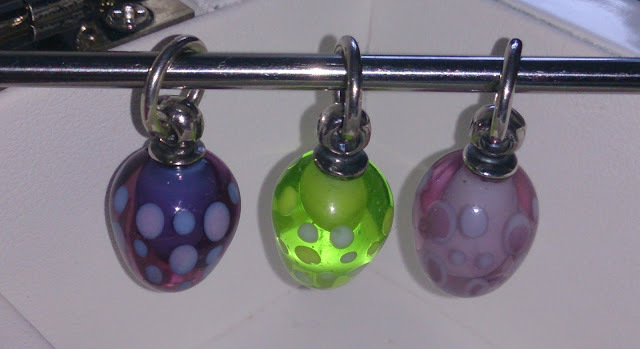 One of my troll friends on hearing I'd just acquired these remarked "But I thought you didn't like dangles?" 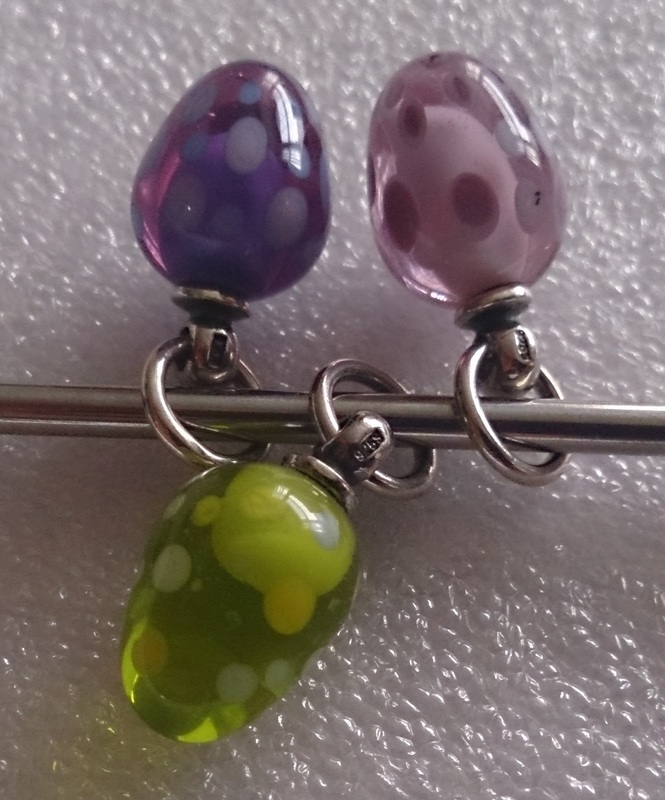 My reply "No, I love them, I just don't own any"
I've always loved dangles and it's one of the reasons I asked Anne to do a guest spot as it was her creative use of dangles in all glass combos that really stood out for me. Recently Anne made up a wedding bracelet that showed off some of her dangles from both the 2012 edition and the 2013 updated version beautifully. Here it is as a bracelet shot and then with all the trimmings! As I had my own wedding to attend (as a guest) I wanted to use some of my new beads to make a bracelet, using Troll with Gems and my Small and Beautiful Peacock (as the bride used peacock feathers for decorations and my dress had very subtle peacocks on) as well as my new dangles. I tried lots of combos with lots of dangles for the wedding but finally settled on just using one placed near the lock to add some interest to what was already a very busy bracelet. As you can tell I'm rather fond of budded python uniques! 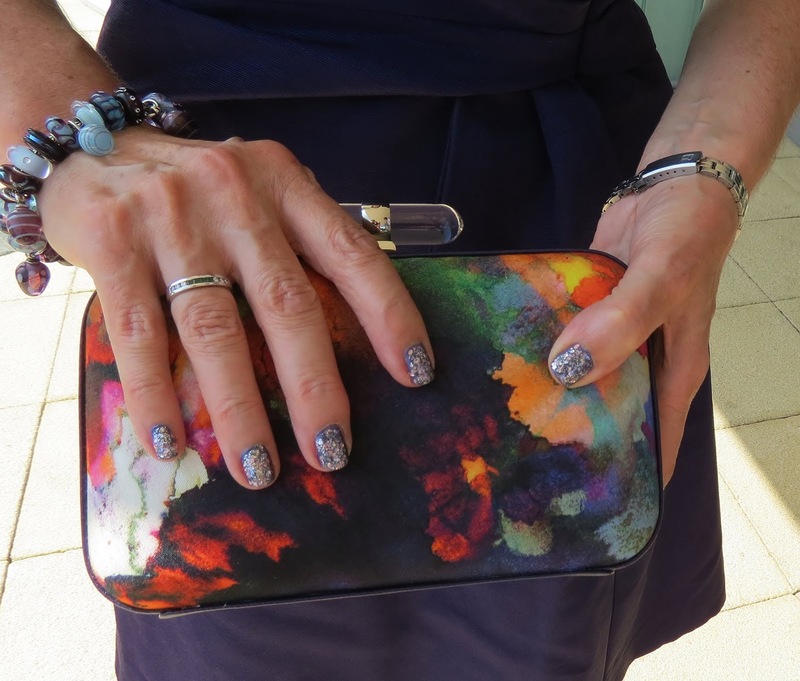 Unfortunately I have no photos of the bracelet with the nails and dress but it was all fabulous, as was the wedding!